SIG Roofing’s Oxford branch has donated hundreds of pounds worth of cold weather clothing to help a local charity keep the homeless warm this winter. 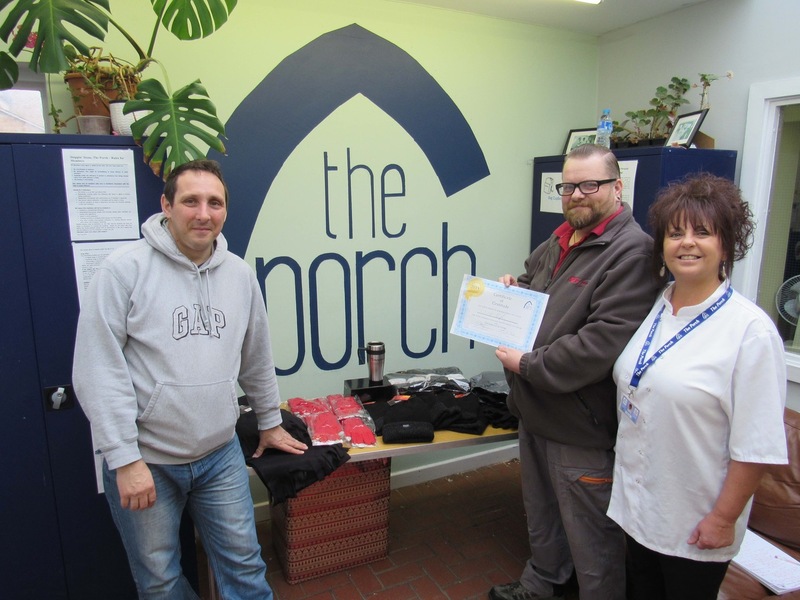 With the support of its customers and suppliers, including Whitesales and Marley, the branch was able to provide woolly hats, gloves, thermal mugs and scarfs to the Porch Day Centre in Oxford, a charity that provides day-long support for the homeless and vulnerably housed people. Chris Treadwell, SIG Roofing’s Trade Counter Supervisor, said: “The Porch Day Centre is a fantastic local charity that helps people move forward in their lives away from street life and addiction. The Porch is one of the oldest day centres in Oxford, catering for up to 70 people a day, providing wholesome and nourishing food in a 5-star hygiene rated cafe, serving lunch and dinner. Visitors to the day centre have access to laundry facilities and showers, a free clothing store, a library and the Internet, along with a host of supports plans such as vocational skills training and employment support. Lorraine Green, The Porch’s catering manager who recently received a High Sherriff Award for her inspirational commitment to the local community, commented: “As a charity, we rely on support from the community and local businesses to keep going. Without the random acts of generosity from businesses like SIG Roofing we wouldn’t be able to survive and provide a great service to the homeless. For further information on SIG Roofing, please visit www.sigroofing.co.uk or follow @sigroofing on twitter.